Our distribution solutions save space, time, and money. We pride ourselves on services that mega-distributors won't handle. Supply Resources is flexible and fast to react to whatever specific need you may have. We don’t just get you what you need, when you need it. Supply Resources has the capability to analyze your production schedule, manage your inventory, create daily orders and deliver Just-In-Time without you having to think about it. Give us a target, and we will hit it. We want to be an extra set of arms for your organization. Allow yourself to concentrate on your product - while we take care of everything else. 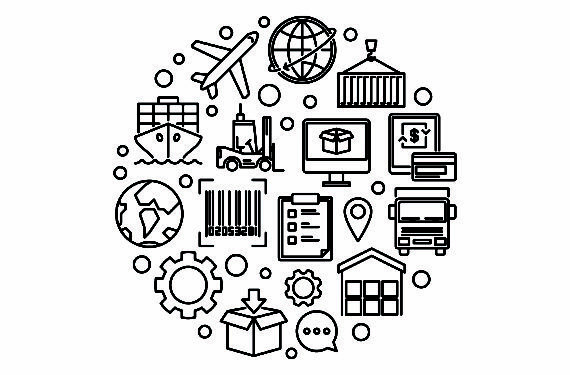 Our model allows for consolidated shipments delivered just in time, so that your supply chain is not clogged up with trailers, vendors, and inventory; not to mention time. Supply Resources is different in our ability to distribute a vast array of products. Our roots are in packaging, but we can source other products and fill every trailer coming to you with anything else you need. Why work with 10 vendors and 10 trucks, when you can bundle them into one? Our focus on quality, cleanliness, and processes raises the bar on what defines distribution. At Supply Resources, we welcome any customer into our distribution centers at a moment’s notice. This shows that we always walk the walk – not just when we know a customer is coming. Our customers often need extra storage, and now we can offer them “Flex-space” which can contract and expand as needed. This is extremely valuable when you need immediate space. Supply Resources uses the logistics platform in a creative way. We also offer “contract dependent satellite warehousing”, where we can manage your material in other locations. Customers are concerned about putting all their business with one supplier, or all their eggs in one basket so to speak. Supply Resources' philosophy is unique. We think that depends on the quality of the basket. Check out our philosophy to understand why that is important. Click here to learn more About who we are.